Another great one! I like this mans smile. Harry, this praying man in Xigar may not have known that there is NO way you would be in the same place more than one day! Great shot. I love the man\'s face ! nice photo of your old friend … I like the crop and composition .. thanks for not cutting his feet out .. will you see him again??? 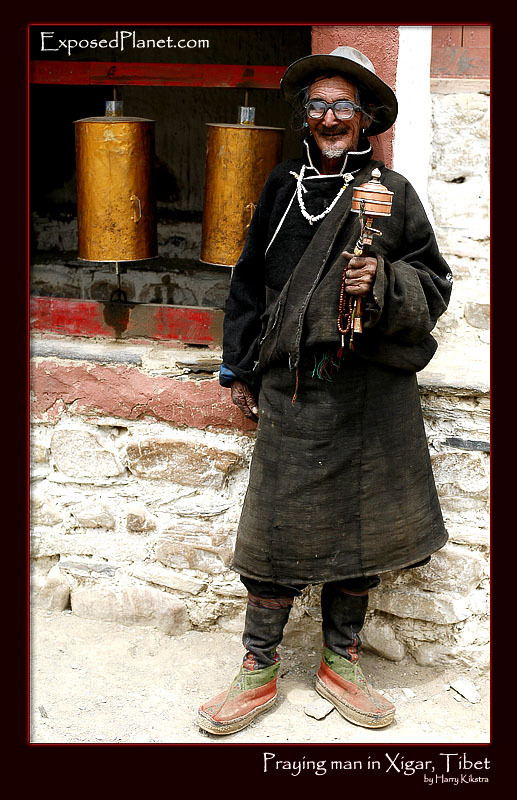 The story behind "Praying man in Xigar, Tibet"
The 3rd in the miniserie of prayers in Xigar, Tibet. This man with his praying wheel must be taking care when in the sun as his glasses are thick enough to burn his eyes I think.